Are you looking for a high quality carpet cleaning service for your property or business in Nottingham or Derby? Do you need to work with a well-established carpet cleaning company in Nottinghamshire that has a long list of satisfied clients? If you are in need of a trusted carpet cleaning service for your property, then we will be glad to work with you in any area of Nottingham & Derby. We are a professional cleaning services company with expertise in quality carpet cleaning around Nottingham & Derby. We have years of experience in providing quality cleaning with great care and attention in every property. Our services are available in all areas of Nottingham & Derby for both domestic and commercial premises and we can come and visit your premises to conduct an evaluation to offer a free quote. We also offer a fully comprehensive fire & flood service. Therefore if you suffer damage to your property through a burst pipe, leaking washing machine or from smoke from a fire for example, we are able to quickly and safely deal with the situation on your behalf. Whilst initially you may want to contact your insurers you are under no obligation to utilise their "preferred" contractors to carry out these works. Therefore you are able to utilise a contractor who is local to you and able to offer you a local service. For further details of this service please contact us . 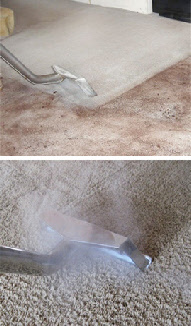 We believe in powerful carpet cleaning machines. We have 2 truck mounts our machines can run over 700ft of hose & over 500psi water pressure and both can run two cleaning wands this means we can clean sum of the largest buildings like multiplex cinemas, hotels, night clubs, pubs, restaurants, offices, there is no job too big no job too small we are fully insured with over 20 years experience. Carpet Cleaning Nottingham & Derby By C F F C Services, Our Services Are Available Throughout Nottinghamshire & Derbyshire. Alverton, Arnold, Aslockton, Attenborough, Awsworth, Worksop, Basford, Barnstone, Mansfield, Chesterfield, Newark, Beeston, Ilkeston, Southwell, West Bridgford, Wollaton, Bramcote, Burton on Trent, Bingham, Littleover, Mickleover, Hucknall, Belper, Long Eaton, Oakwood, West Hallam etc. Domestic & Commercial Carpet Cleaners - Upholstery, Sofas, Rugs, Car Upholstery, Hotels, Public Houses, Guest Houses, Schools, Nurseries, Care Homes, Restaurants, Shops, Health Centres, Alternative Centres, Doctors/Dentists Surgeries, Factories, Offices.